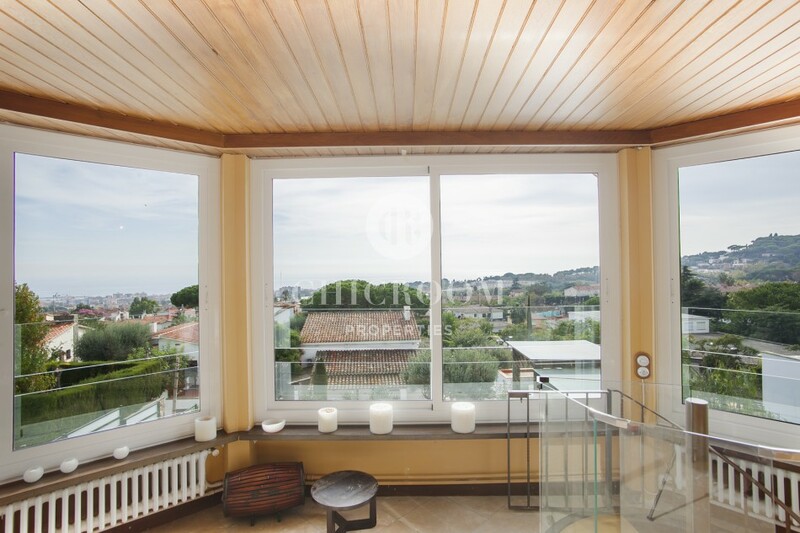 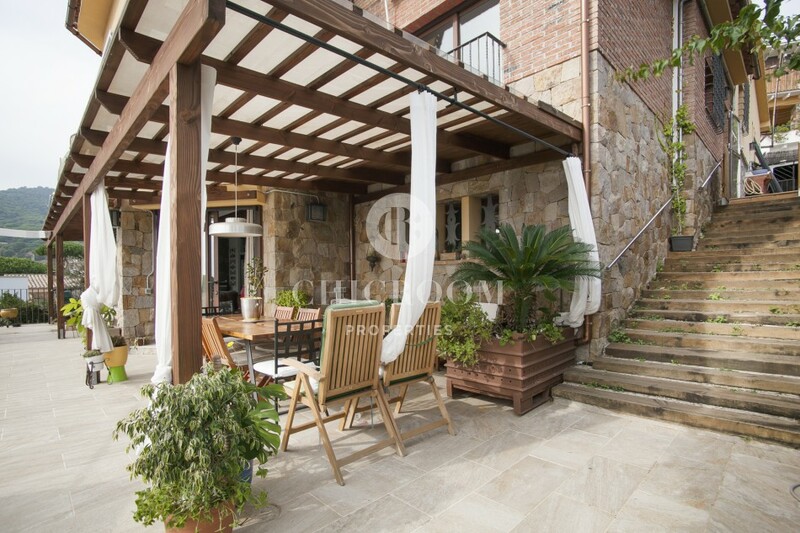 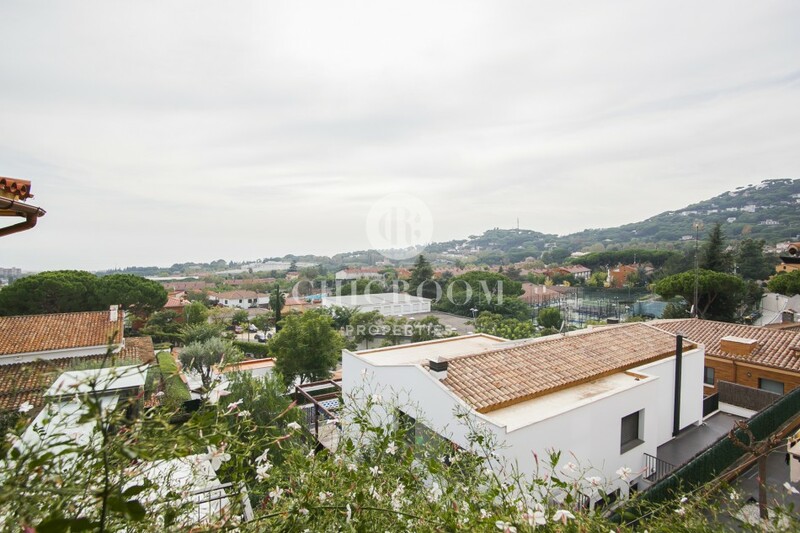 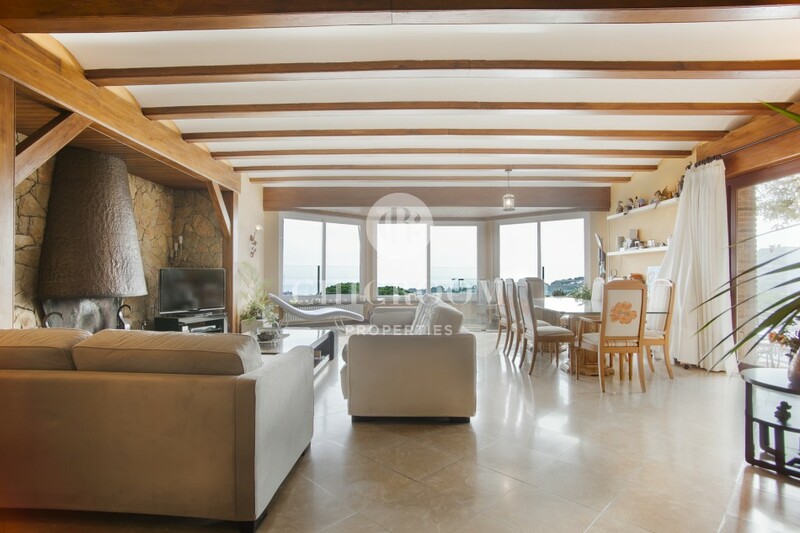 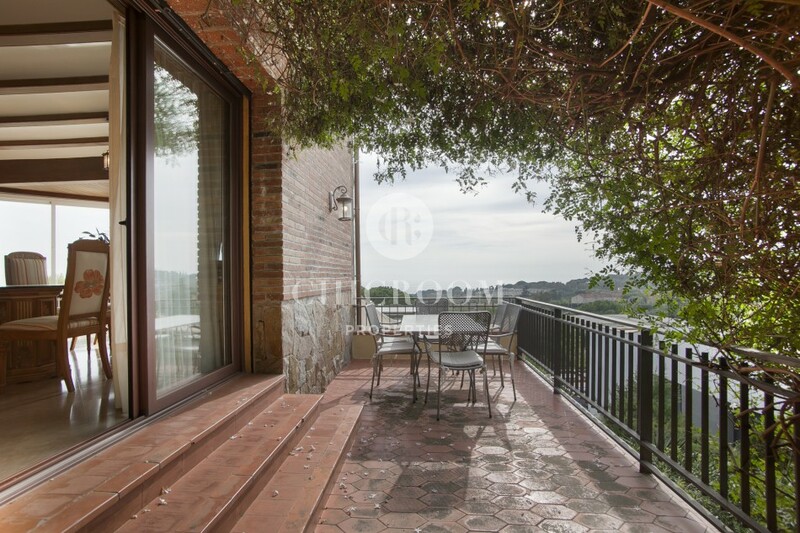 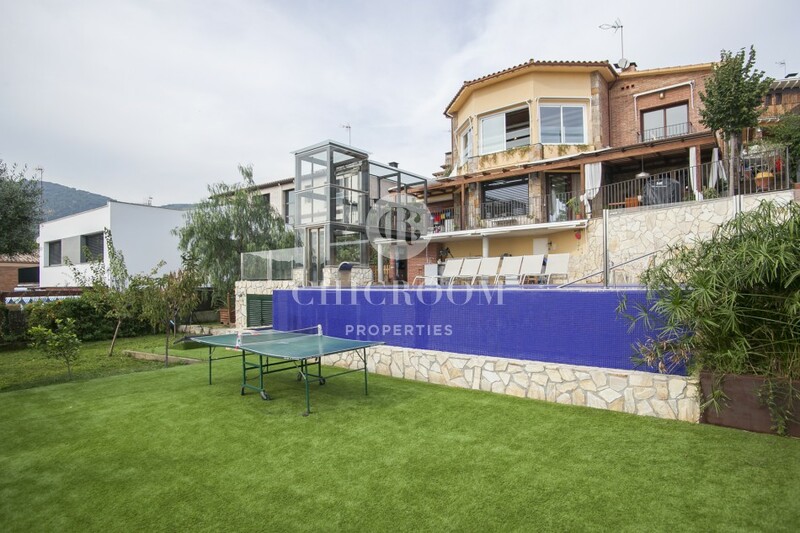 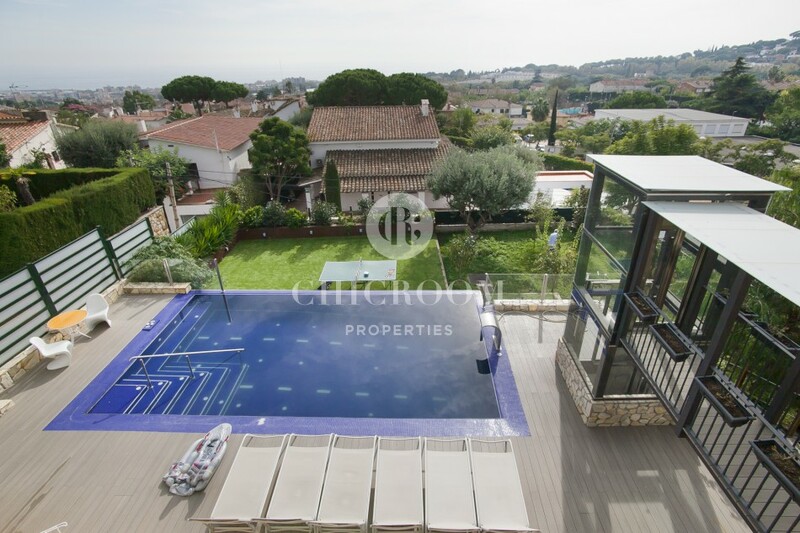 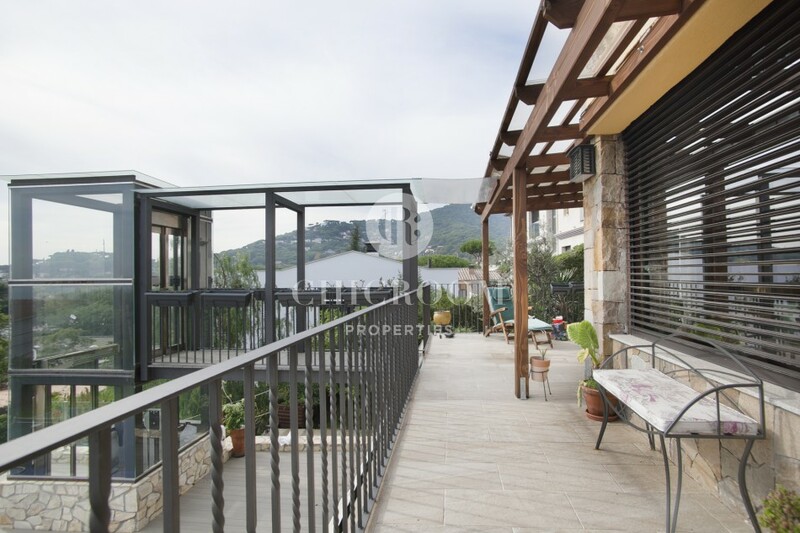 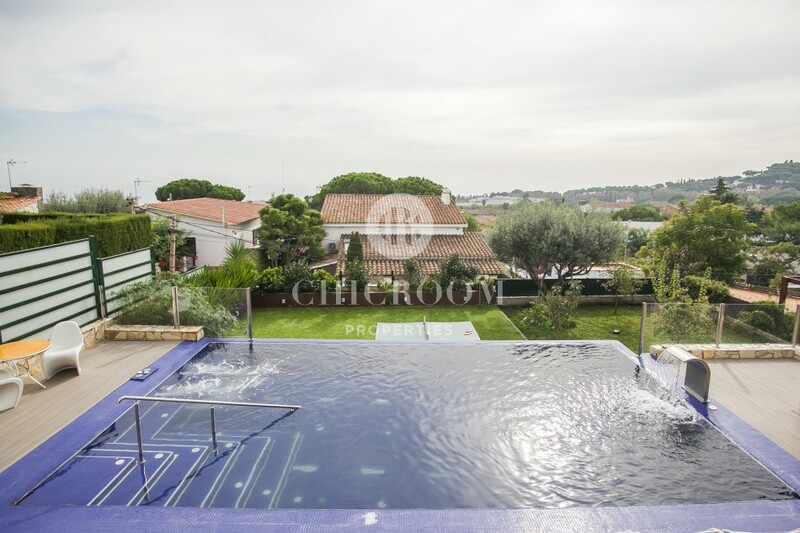 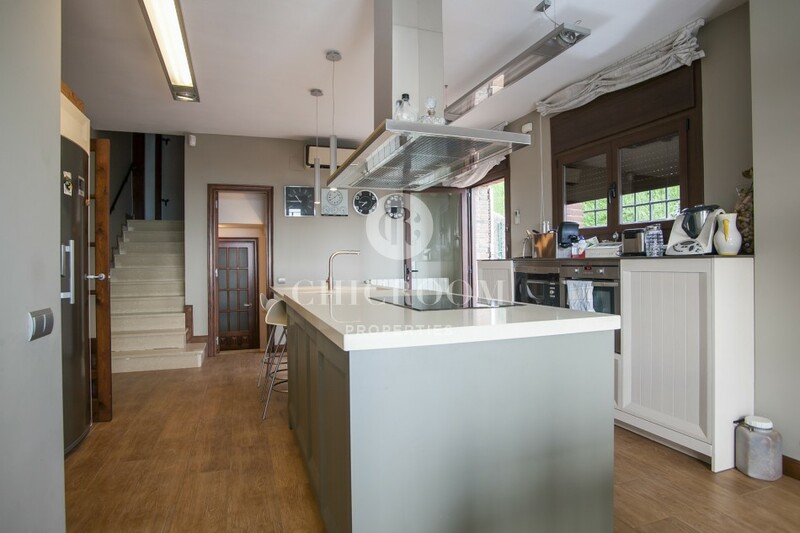 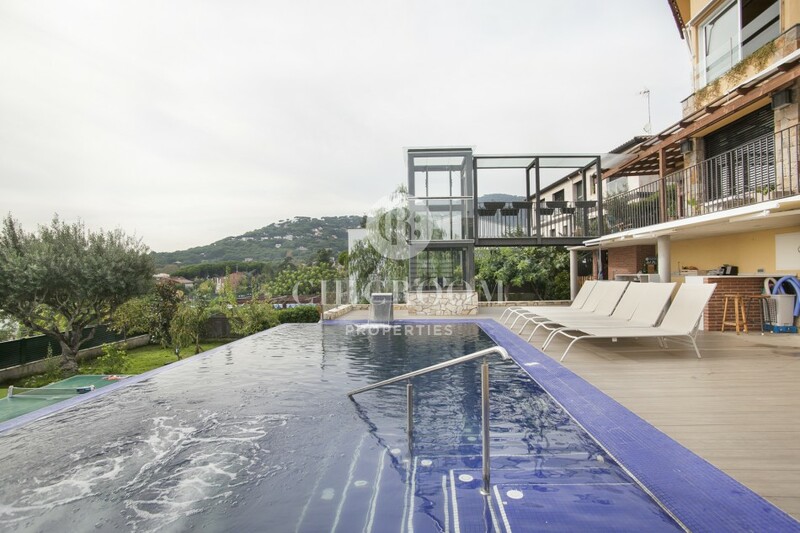 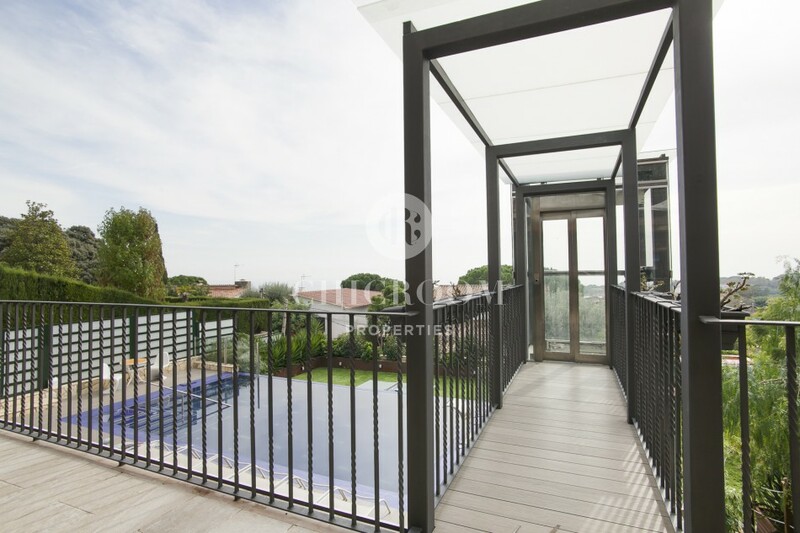 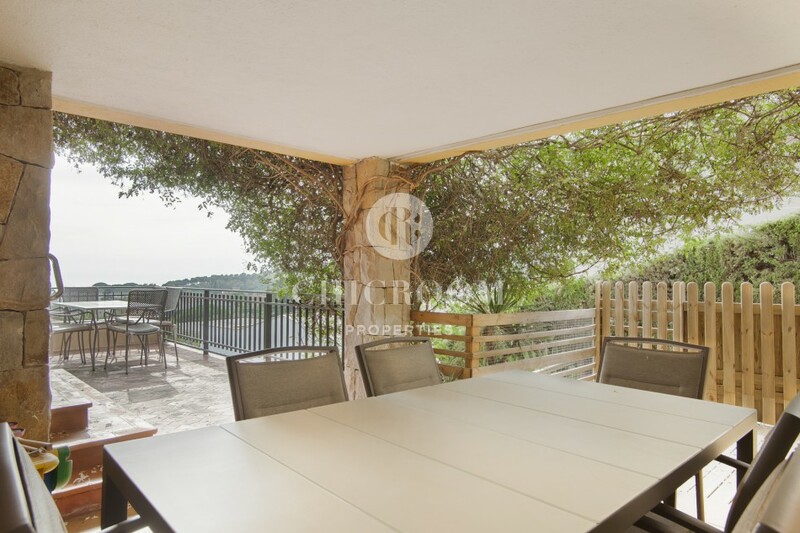 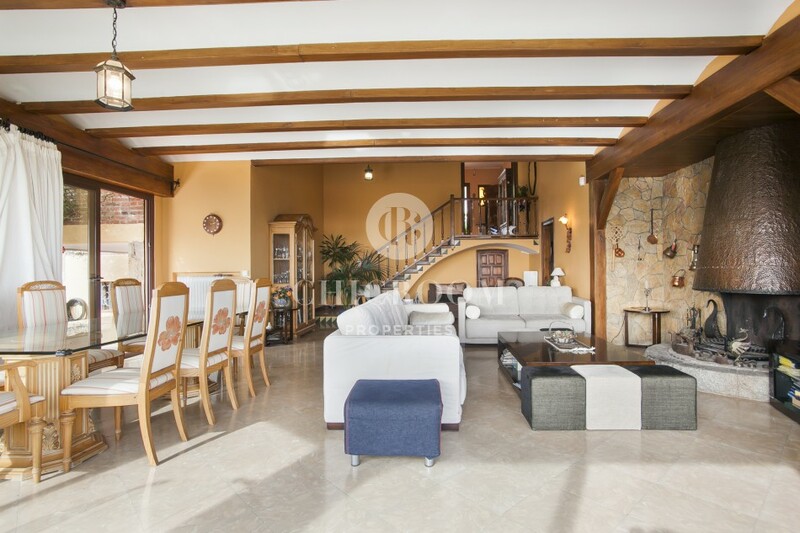 This stunning 5-bedroom house with pool for sale in Premia de Dalt is little gem in Maresme distributed on five floors and providing comfort and luxury. 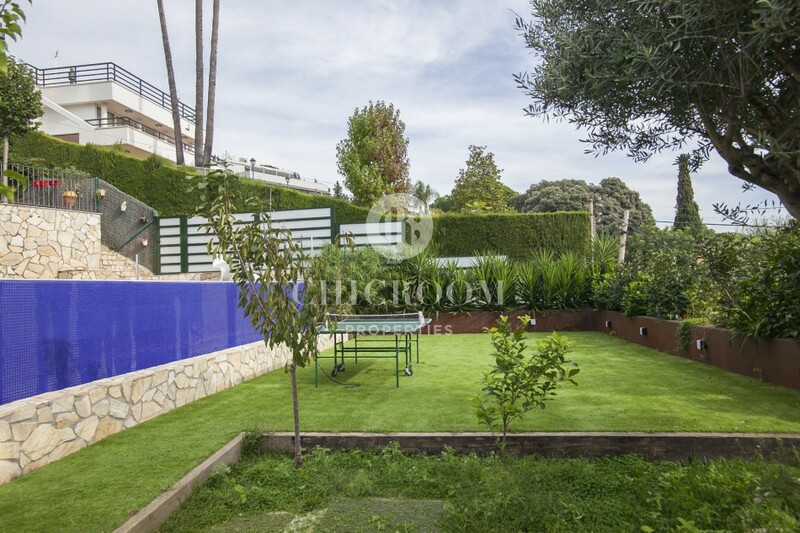 Let’s start with the outside part with the massive green area. 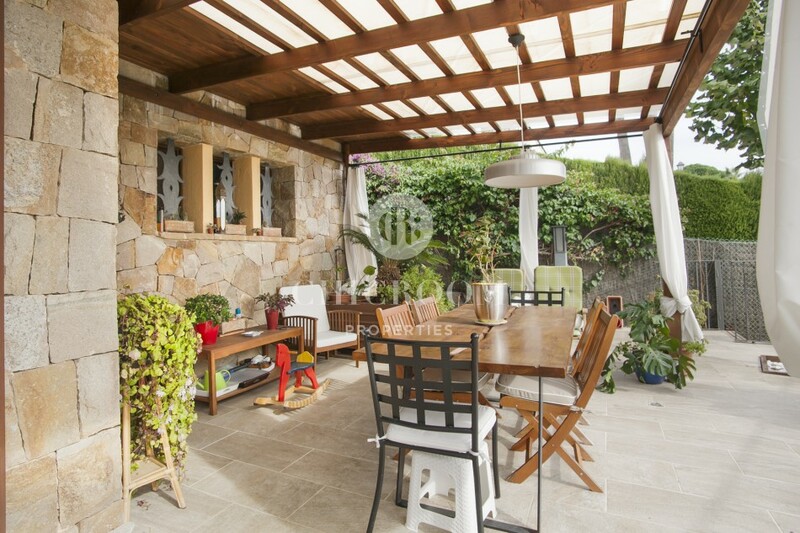 The whole garden has an area of 770 m2 and surrounds the property. 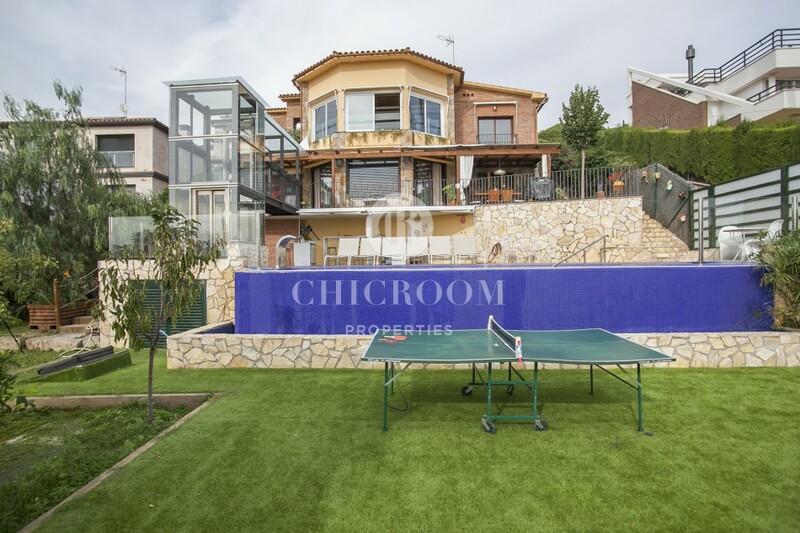 Most of it is covered of grass and trees that isolate the property from indiscretion. 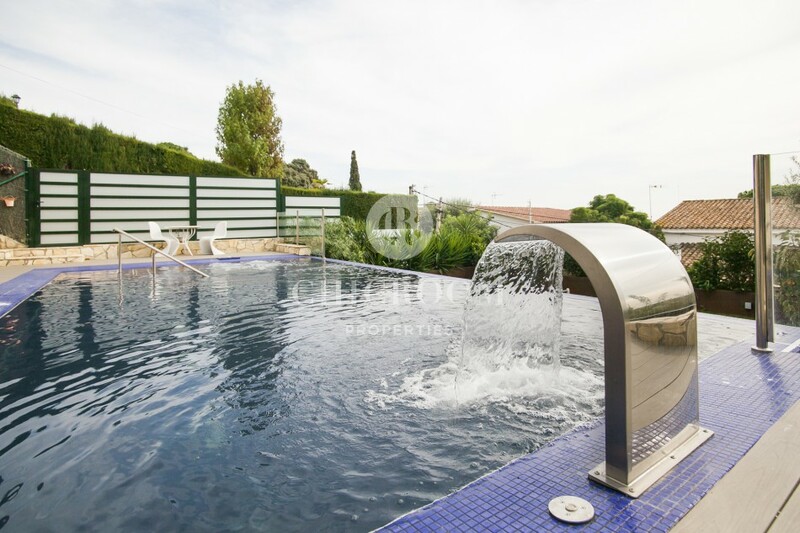 There is a long infinity edge swimming pool with a small waterfall. 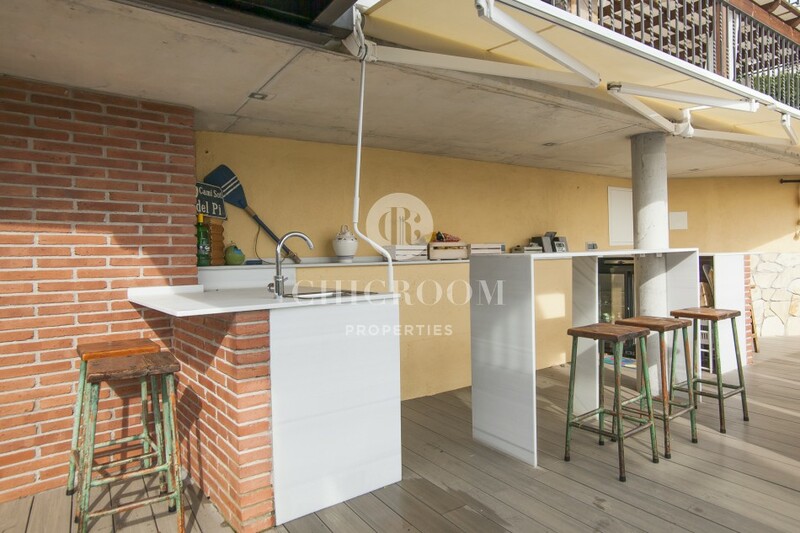 It is surrounded by a wooden deck with various spots for sunbathing and a small summer outdoor kitchen. 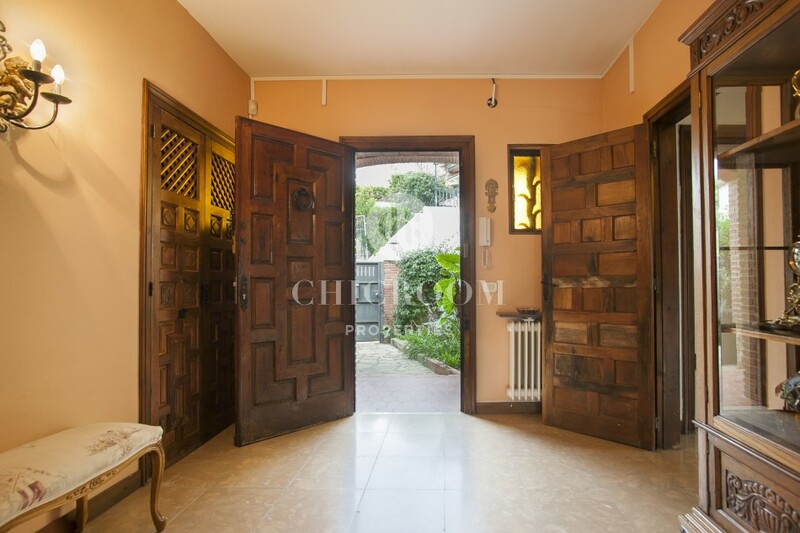 To visit the rest of the house – with a total of 450 2 - you will have to go upstairs. 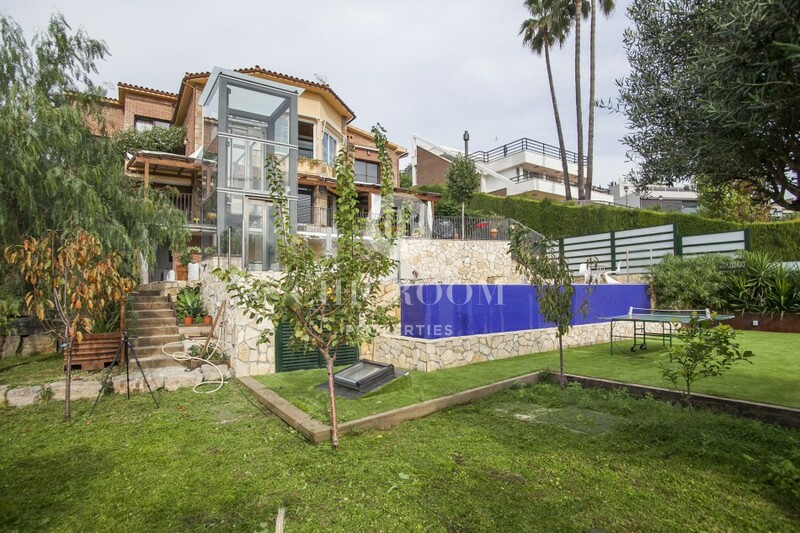 You can either walk the stairs up or take the lift. 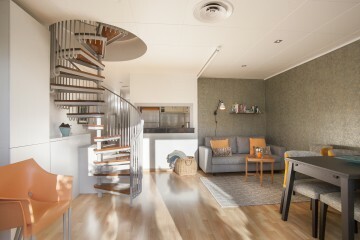 The next floor is an independent studio that can be used for guests. 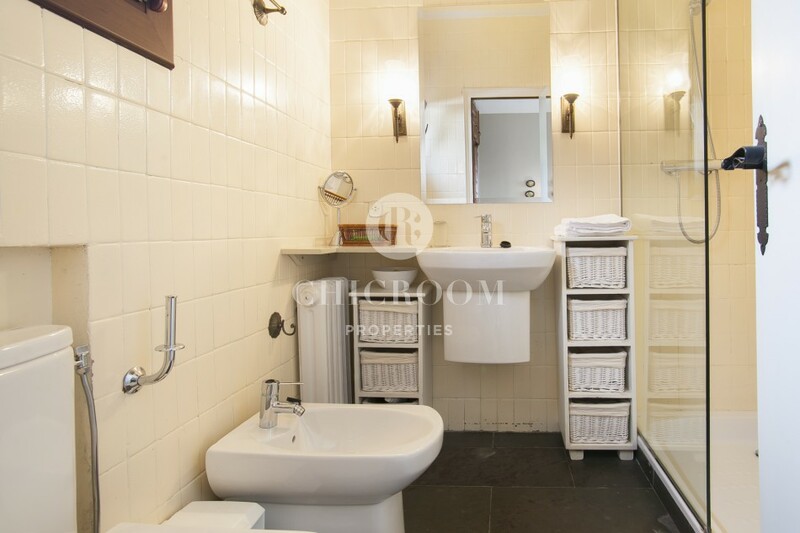 It has its own bathroom and kitchen, one bedroom and even a small terrace. 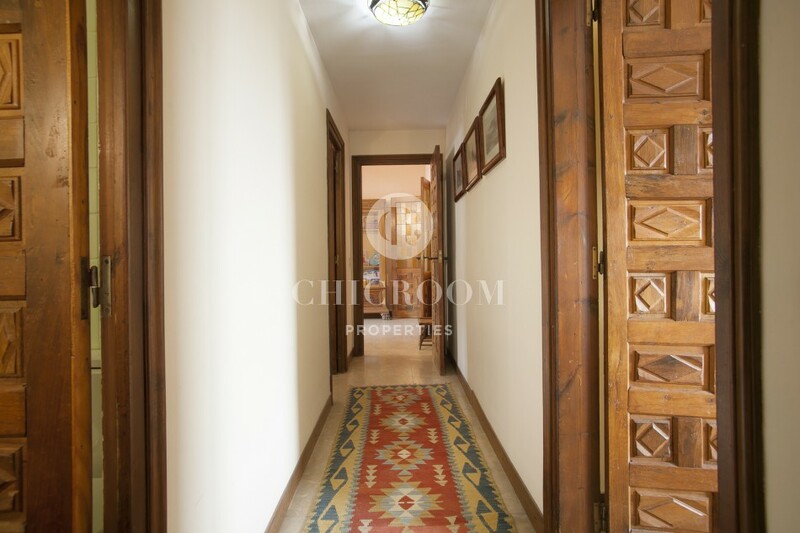 The two last floors will make you understand how you might call this place home. 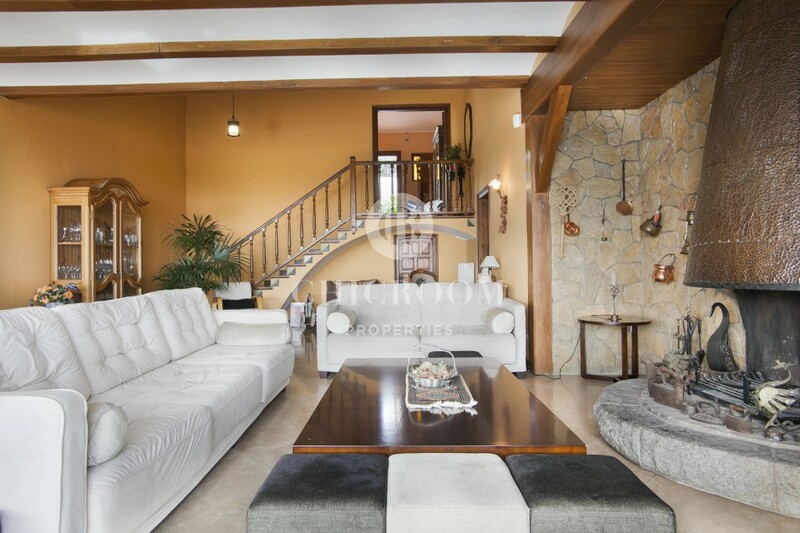 The main living area is a massive space for enjoying great moments with family and friends. 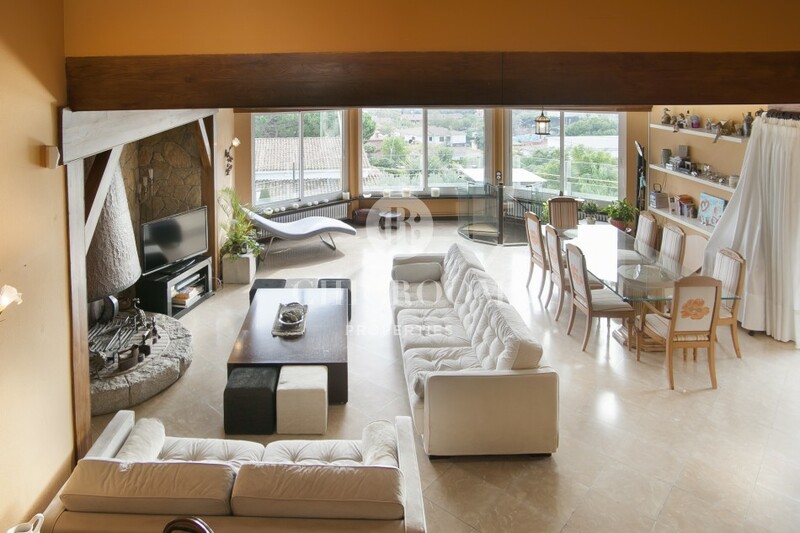 The living room comes with a fireplace that will be really appreciated in winter. 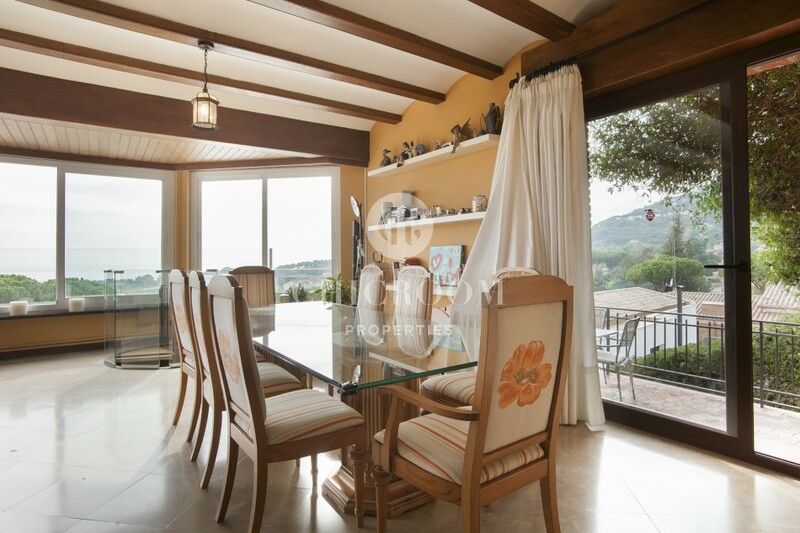 The dining room has wide windows that offer views of the sea. 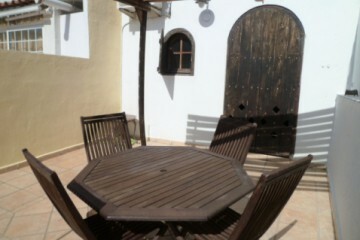 To make the most of the beautiful Spanish weather there is another terrace. 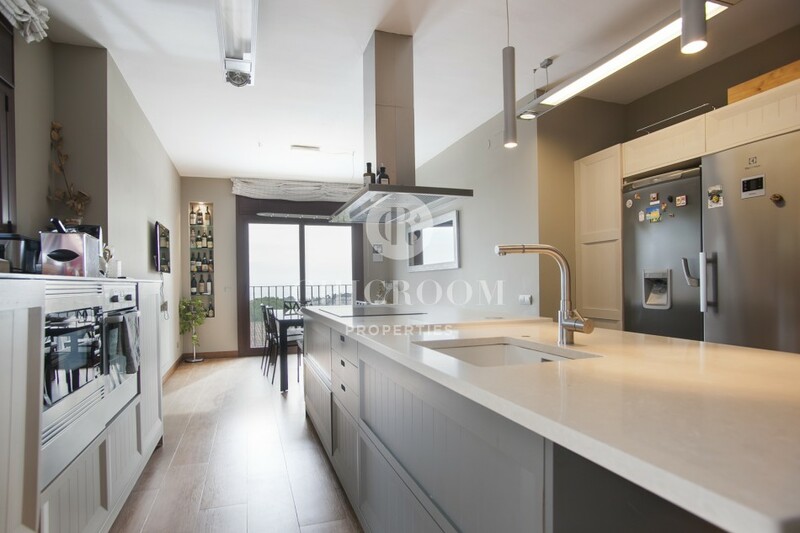 The kitchen is fully equipped with top-quality household appliances. 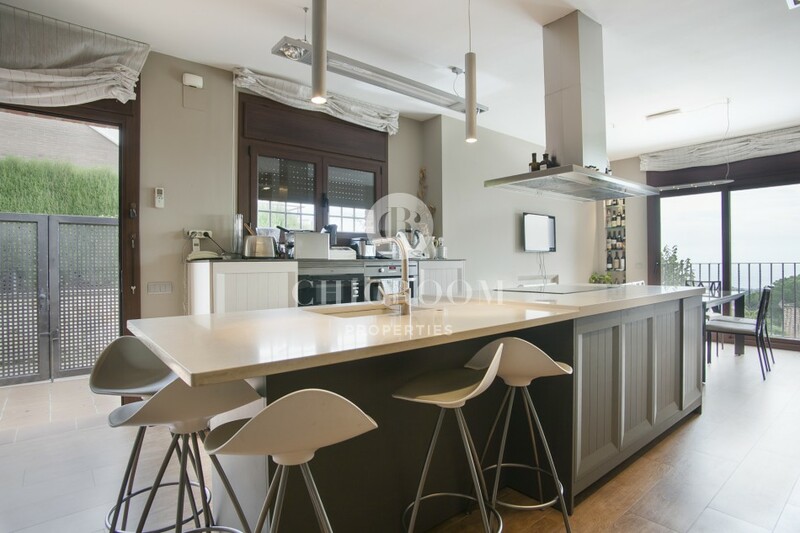 The kitchen island in the middle provides one side for cooking with vitroceramic stoves on one side and a dining area for at least six people on the other side. 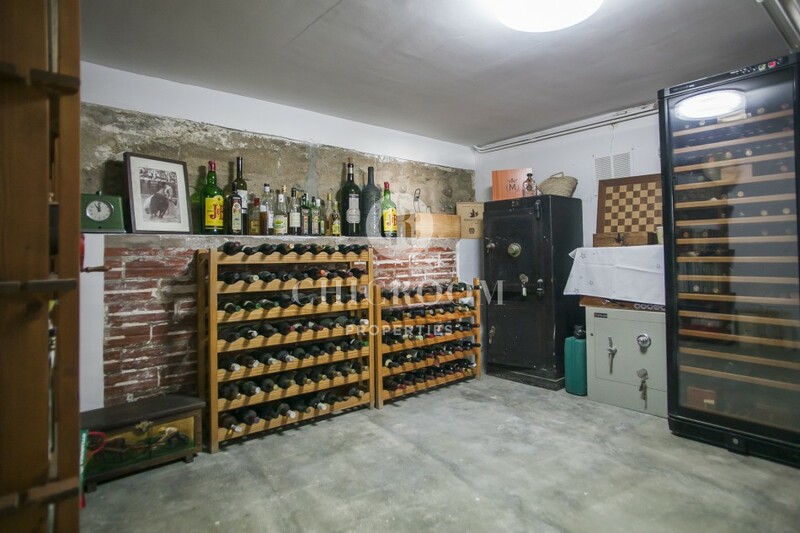 Wine amateurs will be delighted as there is a wine cellar where every bottle will be kept safe at the right temperature. 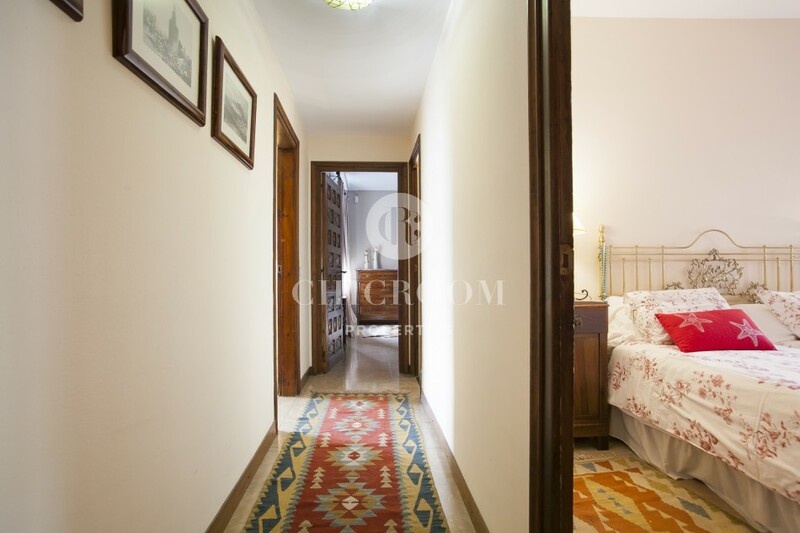 Reach the last and upper floor to get to the four other bedrooms. 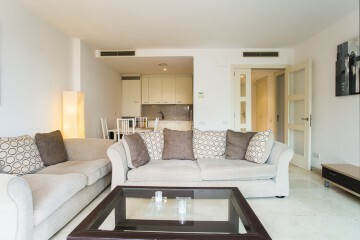 There are all double, very ample and bright. 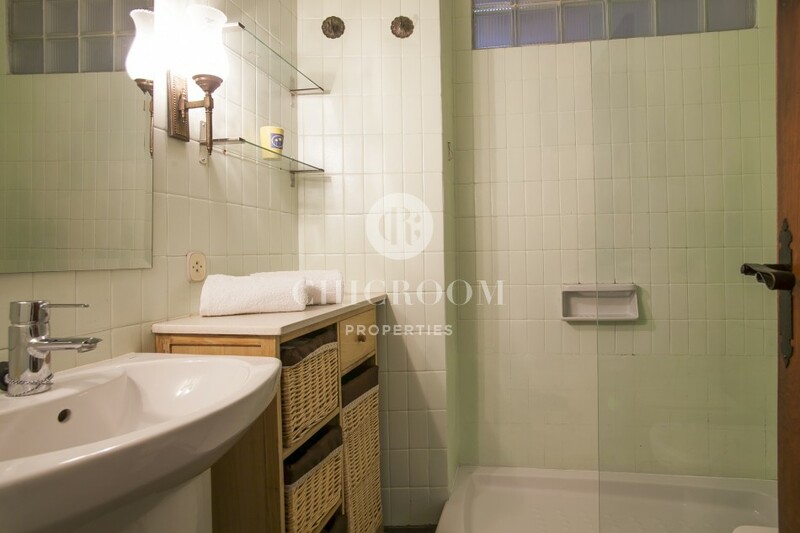 Four other bathrooms complete the floor. 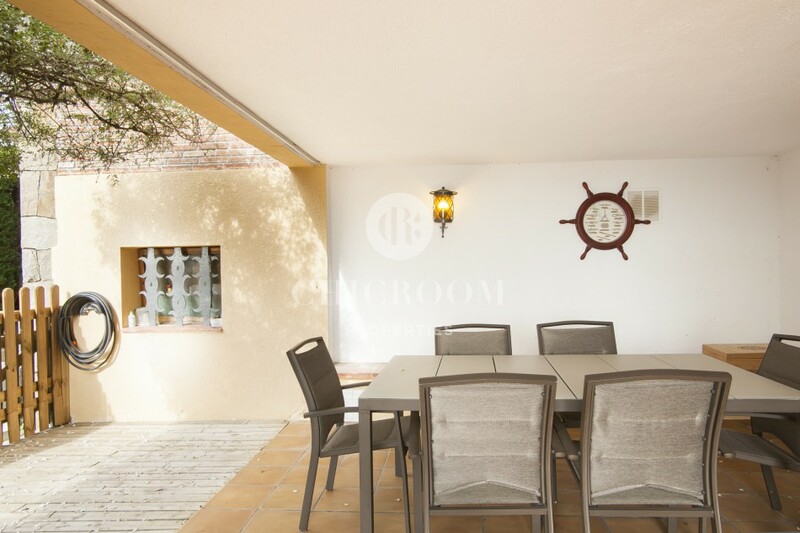 For keeping any vehicle safe, there are car parks: one for a large car and another one with three spaces. 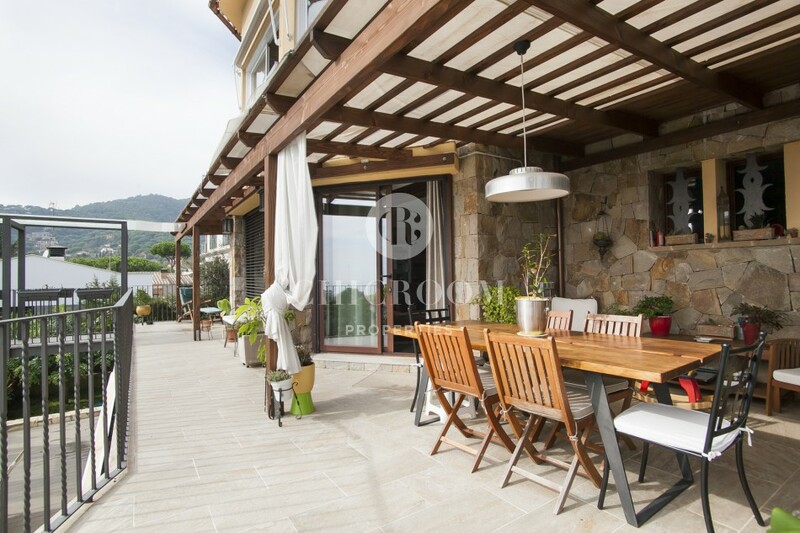 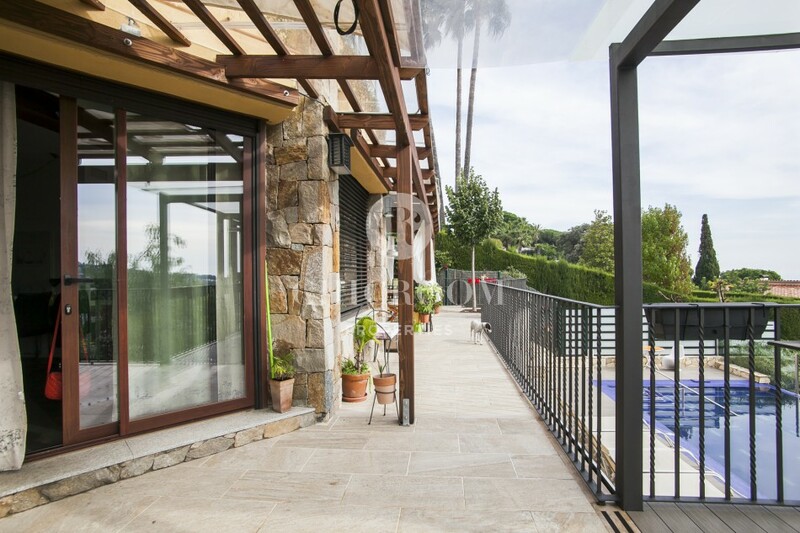 The house benefits from a premium location in Premia de Dalt. 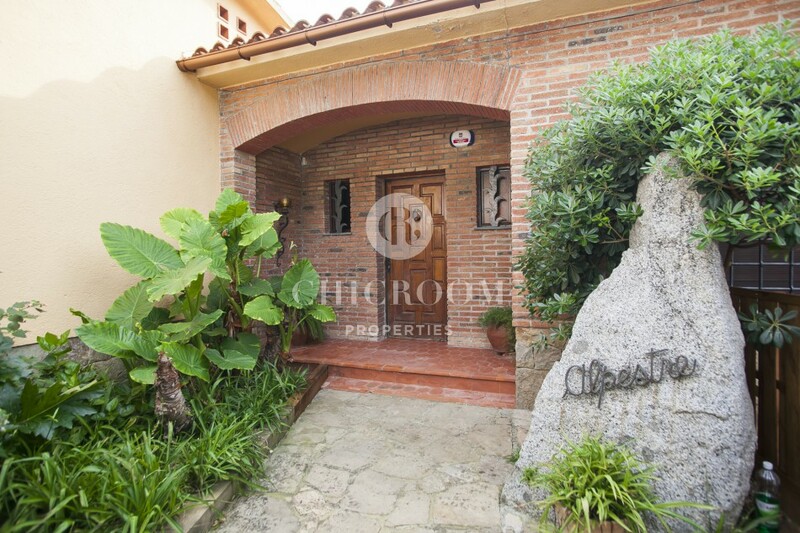 Located in a residential area, you could enjoy the quietness of the neighbourhood. 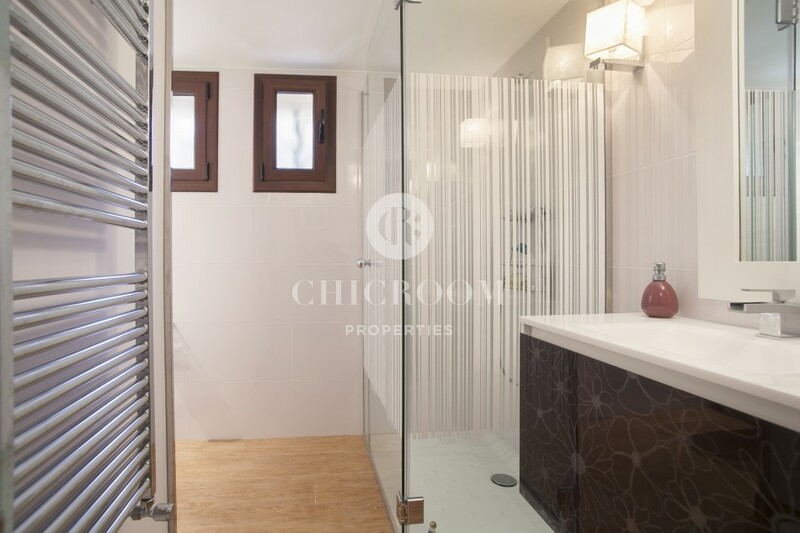 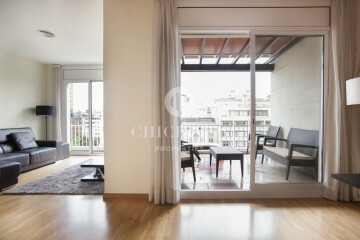 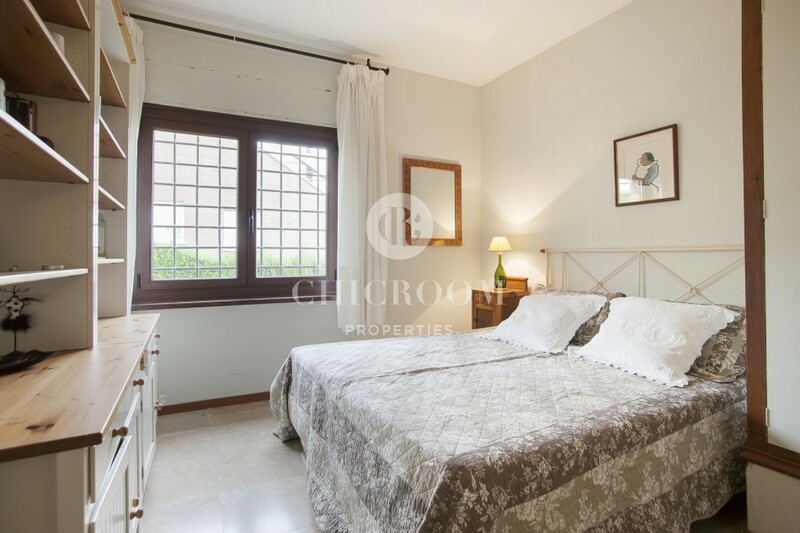 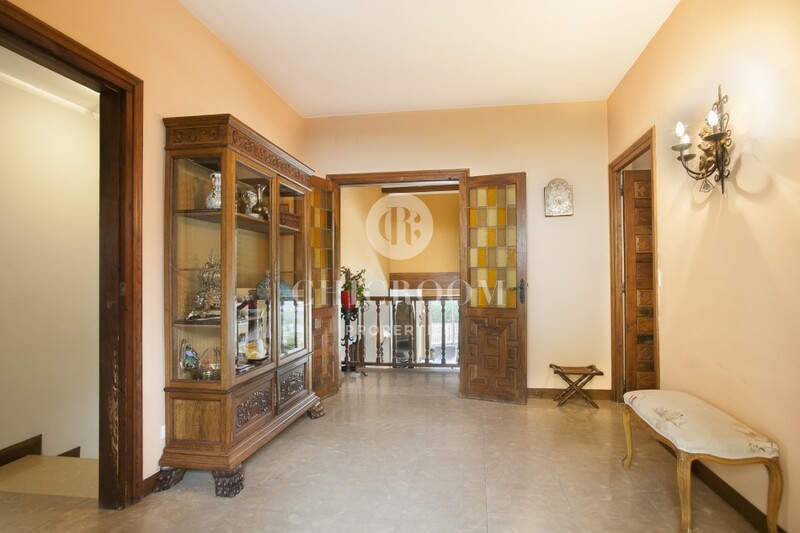 At the same time you will be very close to various shops, a tennis club, schools, restaurants, cafés and many more. 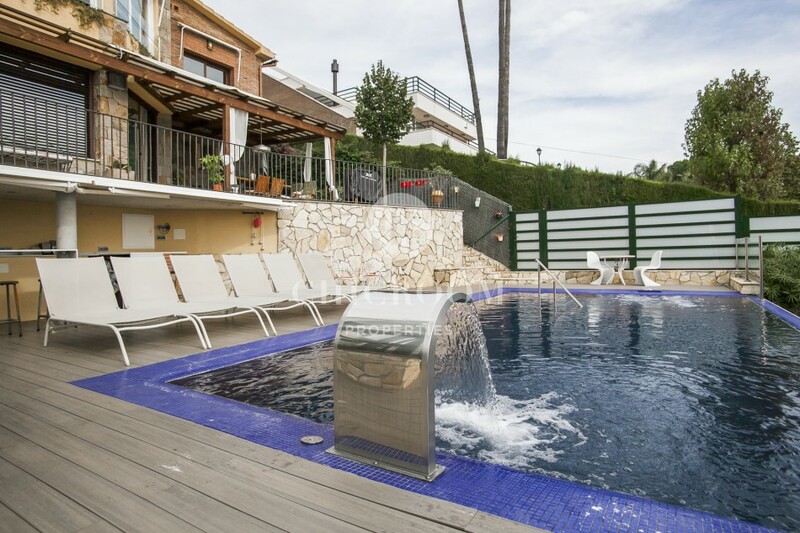 You could reach the beach by bike in less than 20 minutes and Barcelona is at about 40 minutes by car and an hour in public transport. 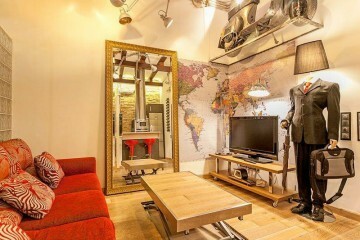 We can already imagine your surprise when discovering this house here. 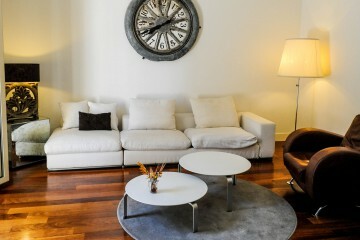 When you visit it you will be even more amazed.